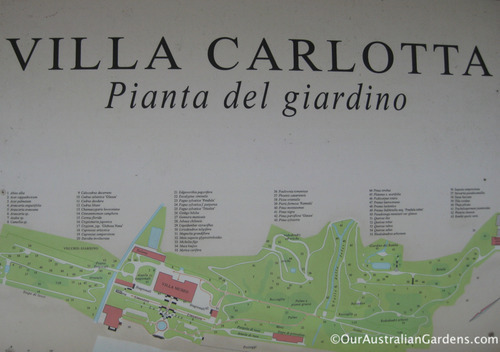 Australian gardeners have long been inspired by Italian gardens, but a little secret we’d like to share… is that in some Italian gardens, Australian plants are thriving! 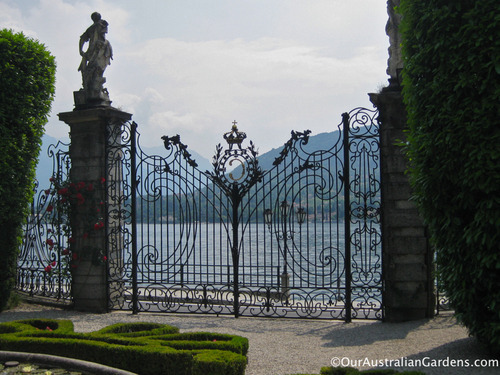 We visited Lake Como in Lombardy, Northern Italy – a popular destination for visitors for its balmy summer weather, pretty villages clambering up hillsides, and villas with renowned art collections and gardens. 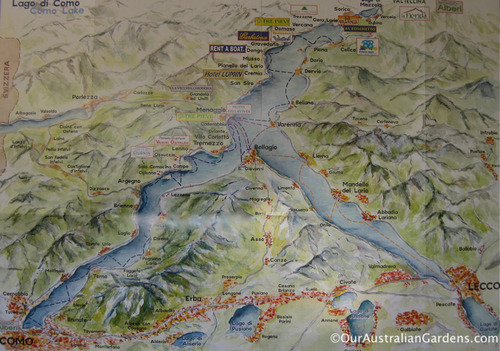 Lake Como, the third largest lake in Italy is glacial in origin. 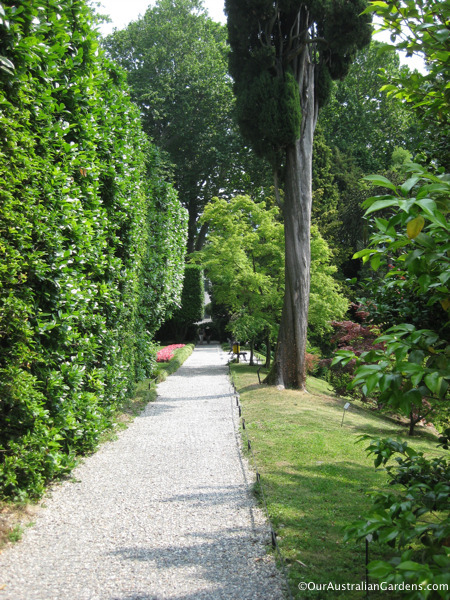 Villa Carlotta between Menaggio and Lenno, just near the Cadenabbia ferry dock, was a requisite stop for those making the Grand Tour, for its gardens and fabulous art collection. 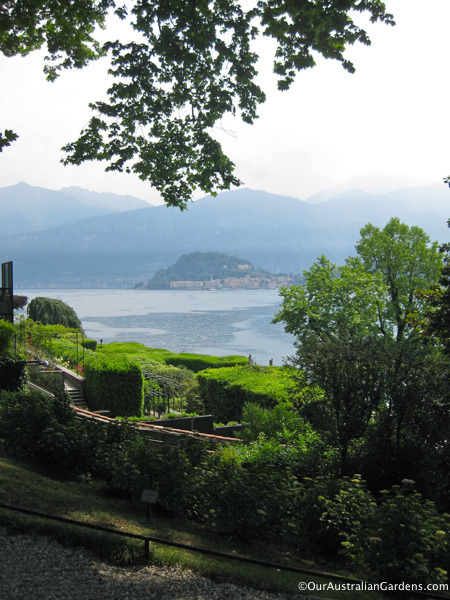 Built at the end of the 17th Century, Villa Carlotta’s reputation was enhanced after it was acquired by Gian Battista Sommariva in 1801. 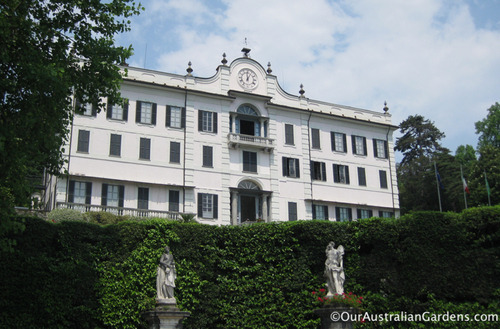 The Sommariva’s heirs sold the villa in 1843 to Albert of Prussia’s wife Marianne of Nassau, who gave it to her daughter Carlotta when she married Georg II of Saxen-Meiningen. 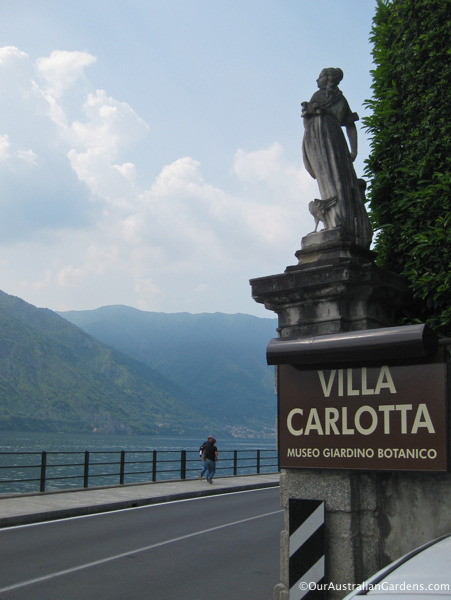 Hence the name Villa Carlotta. 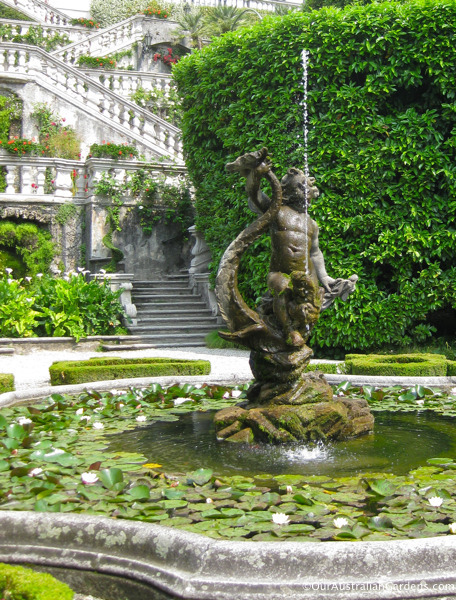 The Fountain of Cupid with dolphin at entry level. 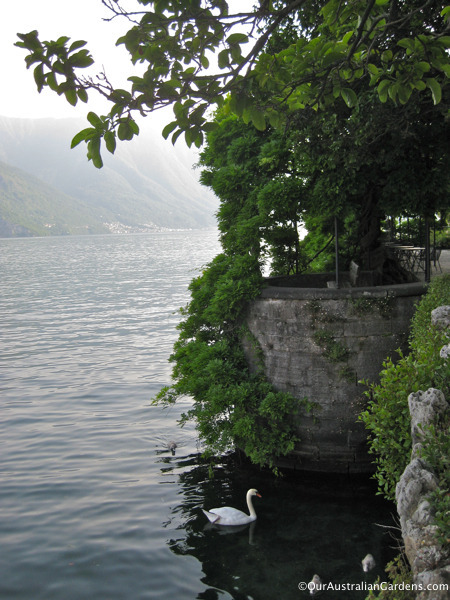 Water is drawn from the top of the site by rills and streams. 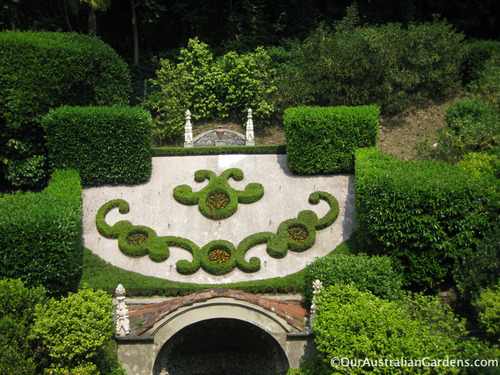 The steep, rocky hillside which provides a stable foundation for the Villa, makes the development of lush gardens all the more remarkable. 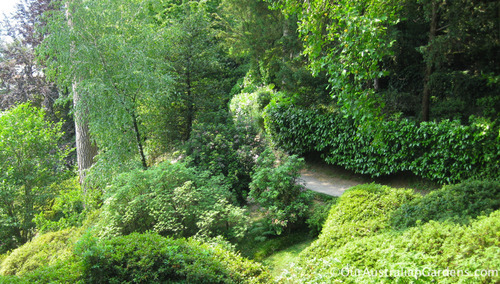 The extensive gardens run down to the road along the lakeside. 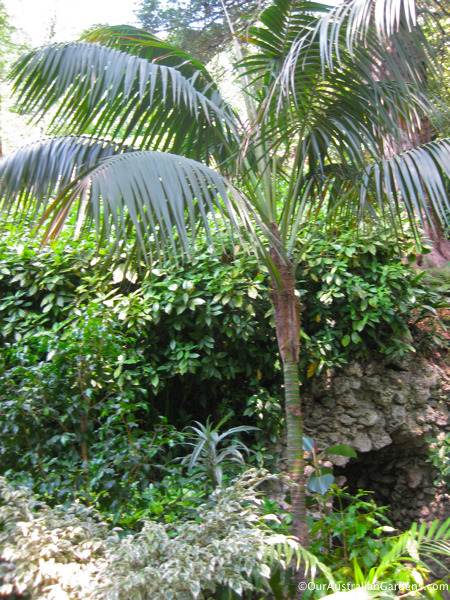 It’s easy to get lost for a few hours as there’s so much to explore, and you’ll always find a quiet spot to rest away from other visitors. 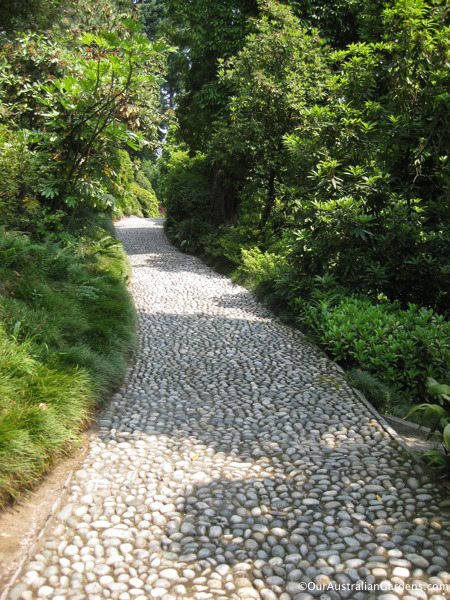 …while stone paths and steps are used on steeper gradients. 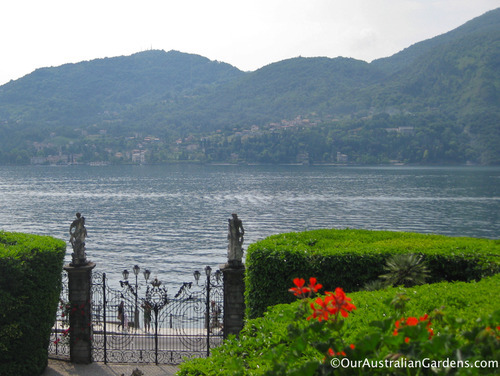 Hydrangea-lined pathway with views over the lake to the village of Bellagio. Little has changed in this outlook for two hungred years. 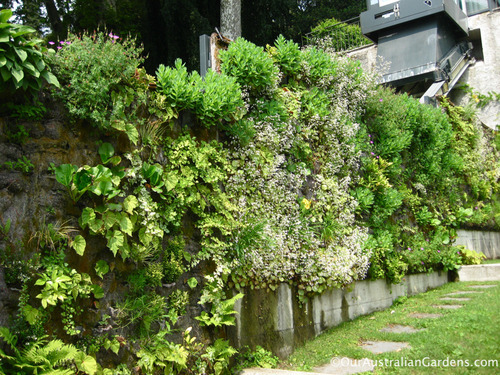 Sunny walls support plants from temperate and even sub-tropical climes. 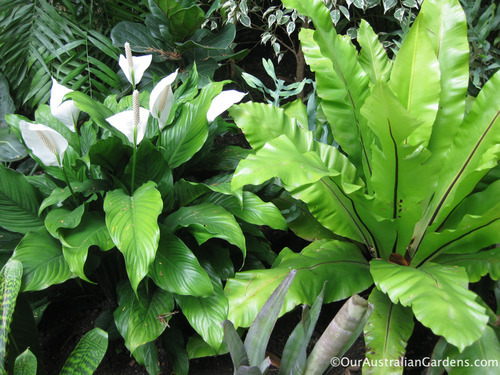 The Asplenium Bird Nests fern is naturally occuring in Queensland and familiar to Australians…. 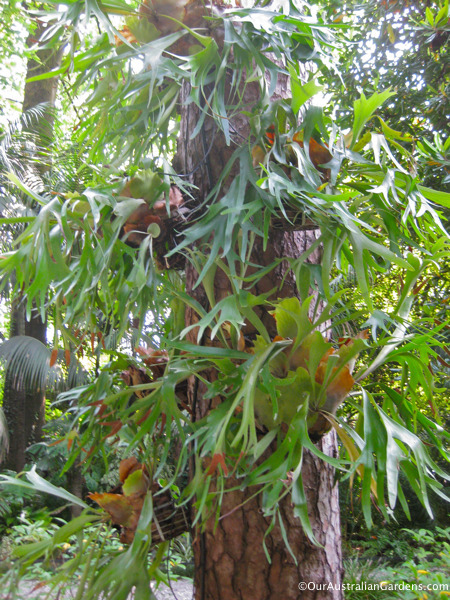 …as are the elkhorns or Platyceriums, a commonly grown epiphyte which would love the altitude there. 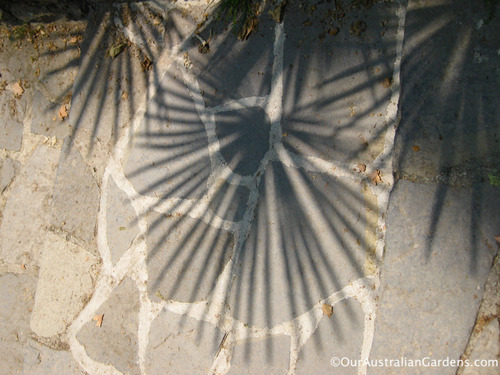 This elegant small palm is a Kentia, the seed of which, even now, is a major export from Lord Howe Island. 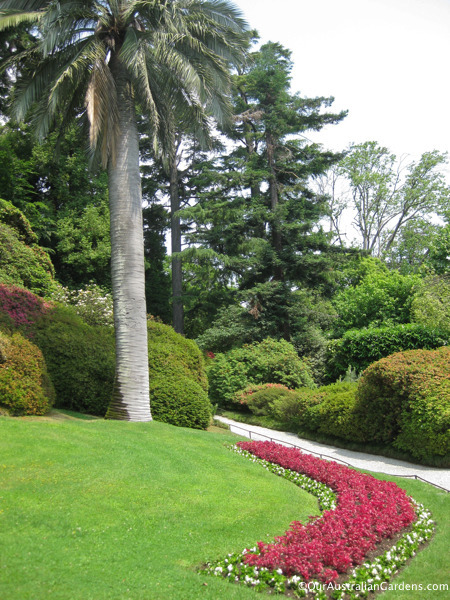 A familiar bedding scheme of begonias with sweeping lawns around a Cuban Royal palm. 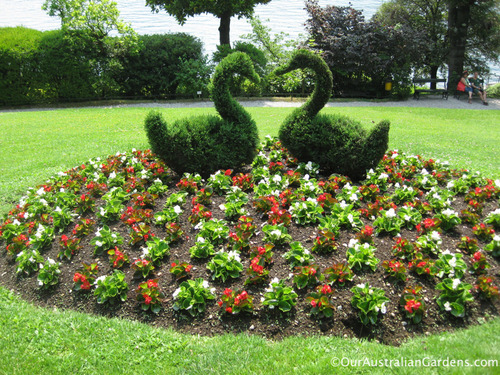 Above the grotto: the intertwined “C” features the initial of the original owner,the Marquis Clerici and is repeated in bedding begonias in another part of the garden. 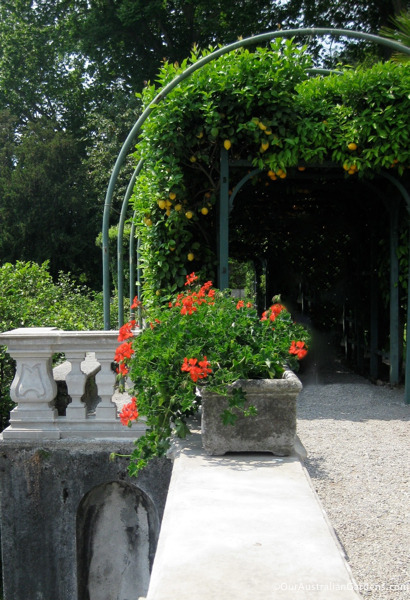 Our favourite spot is the Limoniere, enlivening the sunny terrace below the villa. 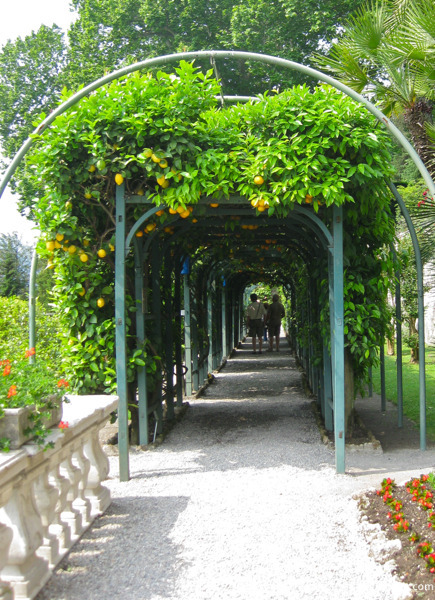 Oranges, lemon and mandarin trees, trained over steel trellis walkways, fruit prolifically and their blossoms richly scent the air. 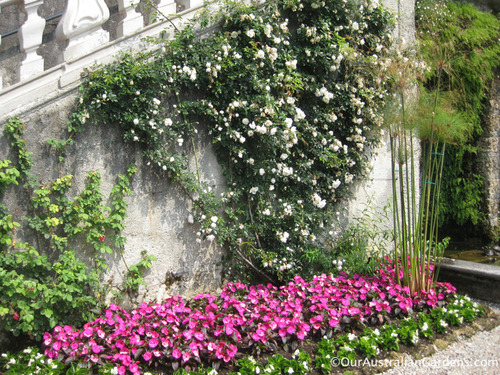 Ahh… the fragrance of Italy in summer! The swirling “C” is repeated in the gates.